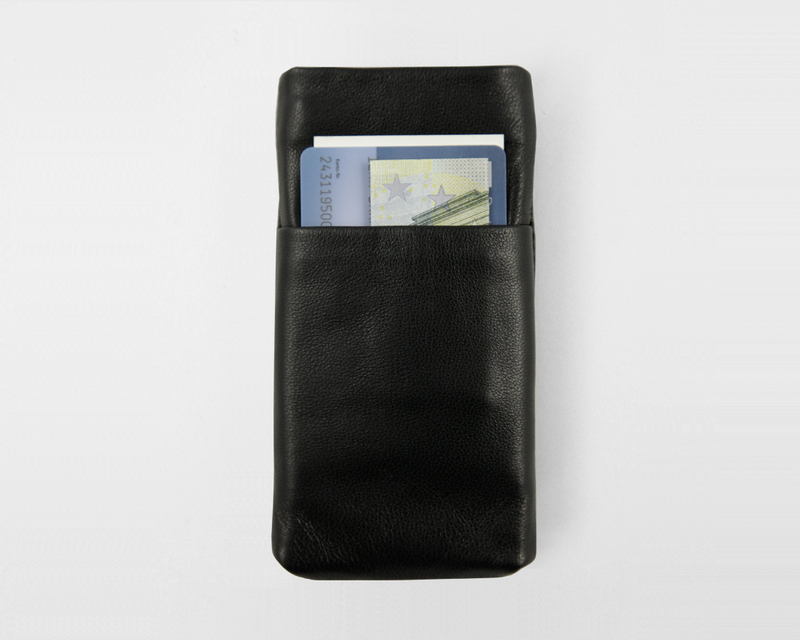 The bags are made to measure and the device is tightly held. If you press on the lower edge, the smartphone slides out and you can easily remove it. 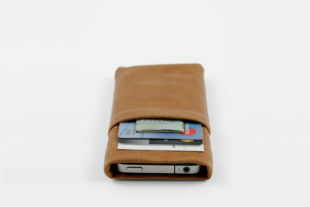 The leather iPhone case may be a bit tight in the beginning; however, the natural material will slowly loosen. 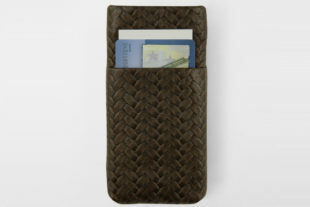 This style has a pocket at the front for a few bank notes, or maybe some business or credit cards.